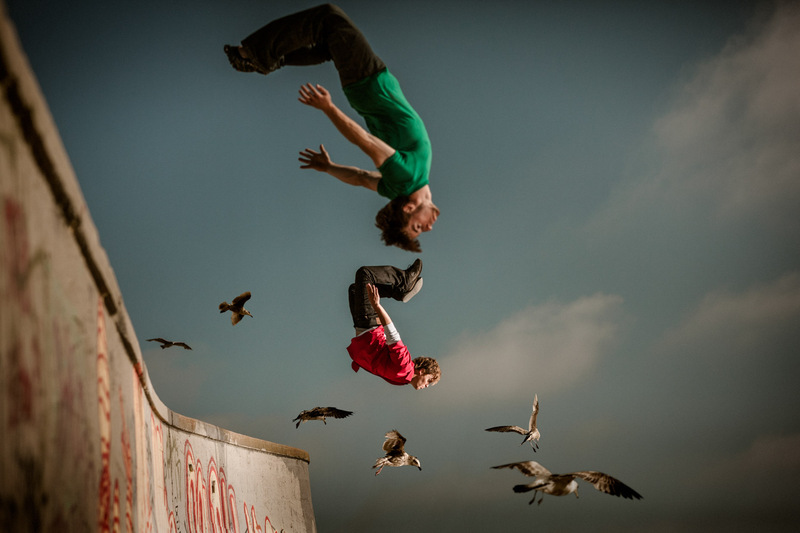 Traceurs Brian Orosco and Tyson Cecka fly through the air onto a beach in San Francisco. The parkour duo were extremely fun to work with. This is all in-camera. I may have added a bird or two.